No matter how you slice it, D.C. is no giant metropolis. But, lucky for us, there's an endless supply of awesome neighborhoods packed into our relatively teeny acreage. From H Street and Eastern Market to Petworth and Penn Quarter, the District has so many unique clusters of cultural hot spots that you'll never run out of places to explore. Of course, your resident gurus are here to help you do that, one savvy neighborhood guide at a time. 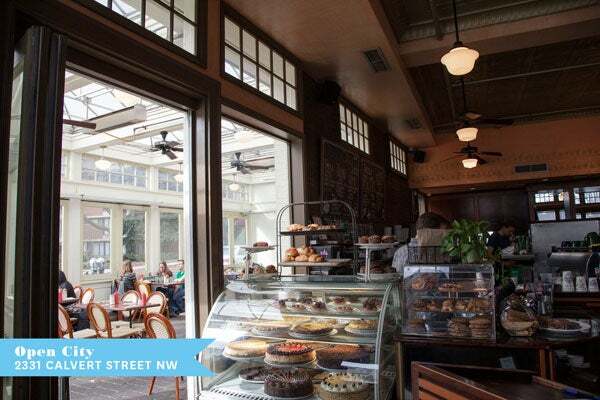 Today, we're introducing you to the amazingness that is Woodley Park. Whether you're completely unfamiliar with the bite-sized 'hood or you simply see it as a pit-stop on the way to Adams Morgan, these seven gems should make you fall in love. 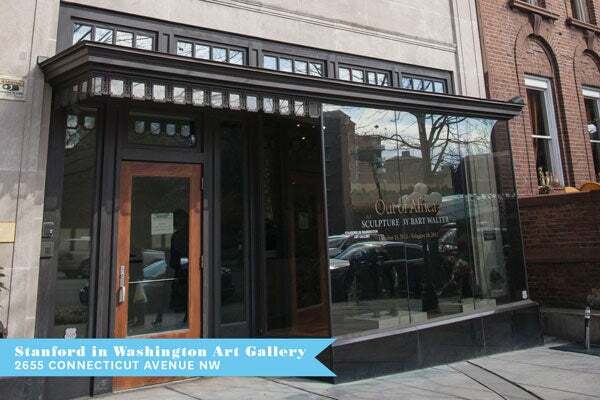 So, click through to find out why this oft-overlooked strip of Connecticut Avenue is one of our new go-to hangouts — and why it will soon be yours, too! Whether you're fueling up for the day or satiating a late-night craving, head on over to Open City, one of the sister restaurants to Tryst and The Coupe. The perfect spot for hangover grub (i.e., breakfast all day), it's best for leisurely meals spent with friends on the outdoor patio —especially on days when you have nowhere to be for a while. It's also our duty to note that the wickedly delicious homemade pastries are baked on location daily. 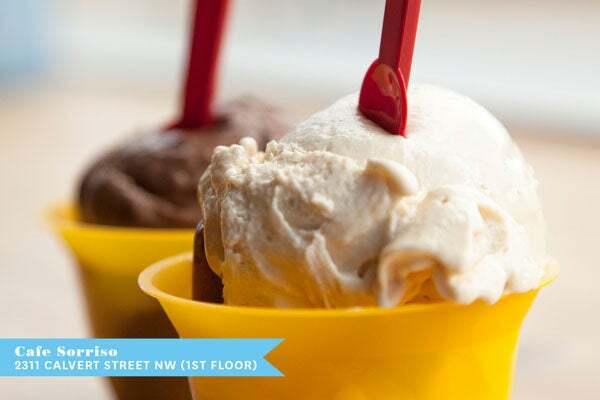 Open City, 2331 Calvert St NW; 202-332-2331. To check off the cultural element of a trip to Woodley Park, check out the Stanford in Washington Art Gallery. The lovely two-level space offers unique rotating shows and free admission, to boot. Currently (and only for a few more weeks — so book it! ), you can view stunning bronze works by world-renowned sculptor Bart Walter in the gallery's Out of Africa exhibit. Stanford in Washington Art Gallery, 2655 Connecticut Avenue NW; 202-332-6235. Trust us on this: After one visit to Tangerine, it'll become part of your weekly shopping repertoire. Why? With a price point this attainable, you can leave with a new brunch or going-out ensemble for less than the cost of your last bar tab. We're talking bold and trendy separates (think pastel floral denim, chunky geometric jewelry, and neon cut-out blouses) that'll add pizzaz to your spring wardrobe without major financial damage. Tangerine, 2643 Connecticut Avenue NW; 202-652-1461. 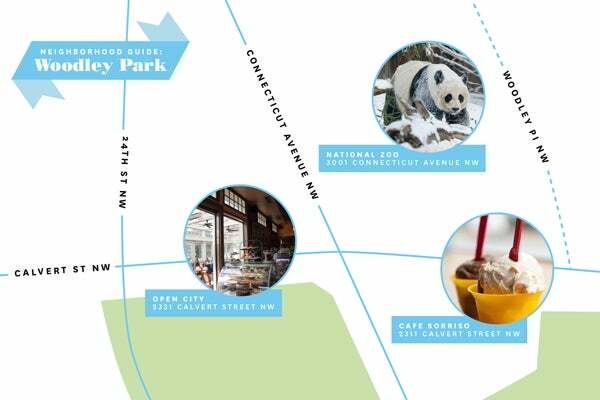 A necessary stop on any visit to Woodley Park is the Smithsonian National Zoo. 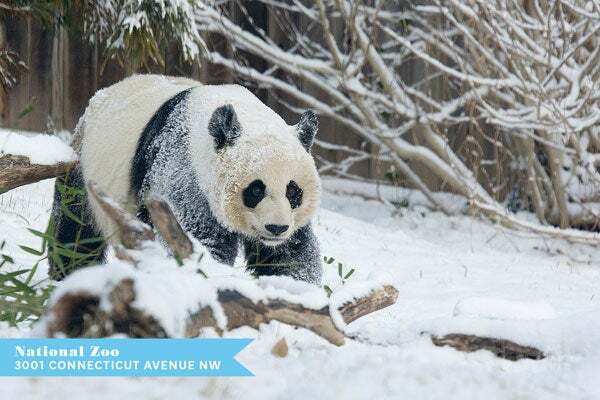 Surrounded by the dozens of businesses and residences that line Connecticut Avenue, it's one of only four zoos in the country that can lay claim to giant pandas — and these are two very famous, adorable giant pandas at that. Need we say more? National Zoo, 3001 Connecticut Avenue NW; 202-633-4462. We first discovered Via Gypset back in August, and the vintage boutique continues to amaze. 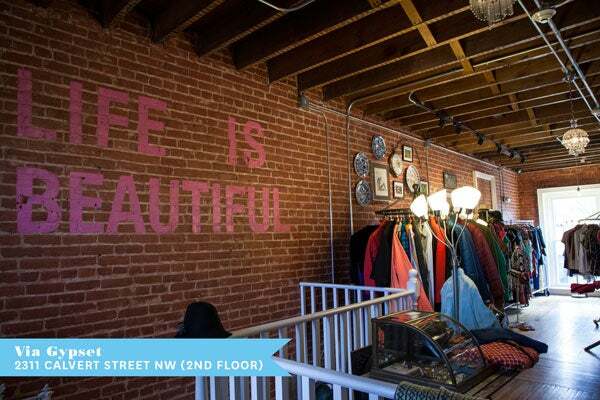 From the inspiring window installations to the abundance of one-of-a-kind garments, this is some of the best vintage shopping in the District. 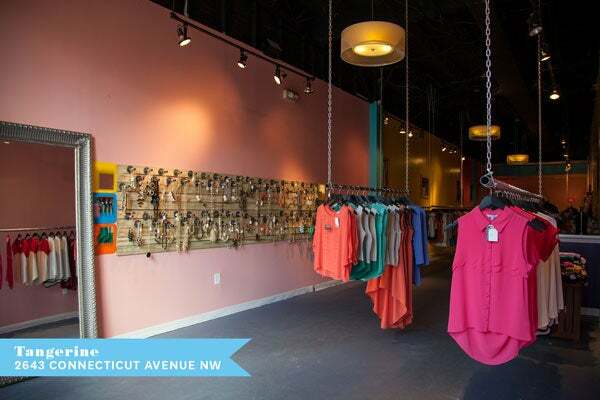 Via Gypset, 2311 Calvert Street NW; 202-803-2874. Downstairs from Via Gypset, you'll find a cafe that might be even cuter than the baby elephants at the zoo. Bright yellow chairs? Check. Retro candy-colored espresso makers as decor? Check. Exposed brick painted in watercolor hues? Got that, too. The gelateria and coffee shop feels like an artist's studio, but with an endless supply of pick-me-ups and window seats perfect for people-watching. Cafe Sorriso, 2311 Calvert Street NW; 202-803-2872. If a resto has great food, we're pretty much sold, regardless of the ambiance or bar situation. But when the spot in question has to-die-for dishes, a cozy neighborhood vibe, and top-notch mixologists who can whip up a mean craft cocktail? Consider it our go-to. Such is the case with District Kitchen, an outpost with a chill-but-charming feel that specializes in small plates, seasonal and local fare, and, um, really good drinks. Take advantage of the 5 to 7 p.m. happy hour on Sunday through Thursday and get to know the savvy bartenders. 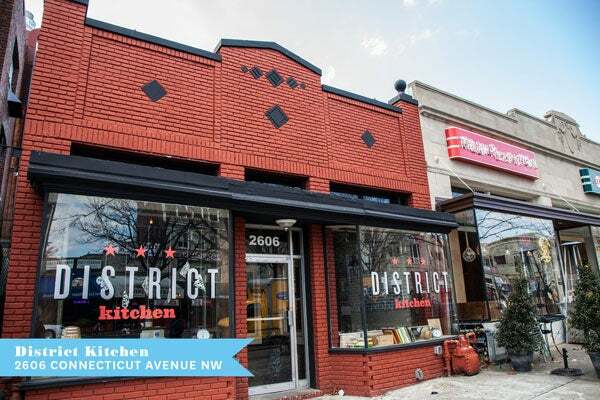 District Kitchen, 2606 Connecticut Avenue NW; 202-238-9408. Living • Vacation • Washington, D.C.